Our Story - Accelerance - Leadership for Business Performance. Our approach involves working with clients to address what is real and urgent in their organisations. We work collaboratively, with an iterative process that leverages listening, questioning, challenging thinking and assumptions, and co-creating the most suitable, bespoke intervention. 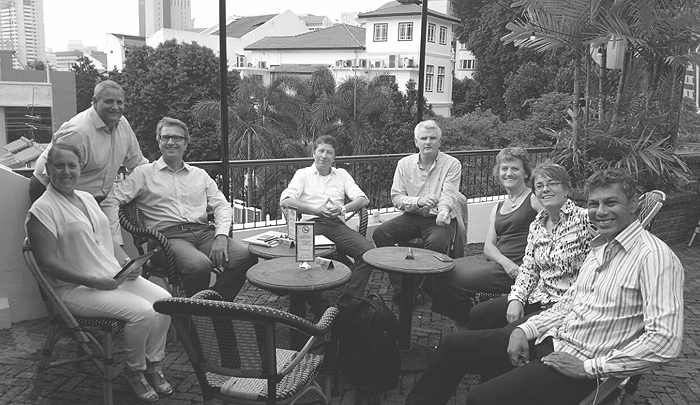 With offices in London and Singapore, and a presence in Europe, Asia and the USA, our consultants combine their corporate experience with pedagogical expertise to build interventions that develop leadership, address business challenges and drive business performance. Our purpose is to help organisations realise their human potential, and change people’s lives for the better. We achieve our purpose by providing bespoke leadership development solutions based on corporate insight and innovative pedagogy. Excellence: We improve business performance for our clients, employing innovative pedagogy and professional excellence in everything we do. Caring: Our empathy, humility and listening qualities help us deliver outstanding solutions, making us delightful for clients to work with and attractive for consultants to stay with.